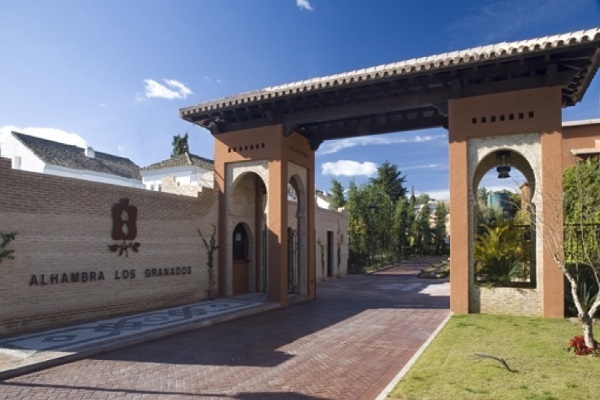 Apartments For Sale in Alhambra Los Granados, Estepona | SpainForSale. Apartments For Sale in Alhambra Los Granados, Estepona. Luxurious Penthouses & Apartments For Sale in Alhambra Los Granados, Estepona. flats, penthouses, estudio.. Exclusive Properties for sale in Estepona. Find below our latest Penthouses & Apartments For Sale in Estepona. Apartments For Sale in Alhambra Los Granados, Estepona. | SpainForSale.Properties Luxury Real Estate. Are you looking for Properties For Sale in Alhambra Los Granados, Estepona? SpainForSale.Properties has the wider variety of the best homes for sale in Alhambra Los Granados, Estepona. Properties for sale in Alhambra Los Granados, Estepona. Alhambra Los Granados, Estepona apartments and penthouses for sale. Look our available luxury penthouses and apartments in Alhambra Los Granados, Estepona. Apartments for sale in Benahavis. Luxury Homes For Sale on the Costa del Sol with SpainForSale.Properties Real Estate Agency in Marbella. Apartments For Sale in Alhambra Los Granados, Estepona. | SpainForSale.Properties. Currently we have a big selection of apartments and penthouses in Alhambra Los Granados, Estepona. If you are looking to buy properties in Alhambra Los Granados, Estepona. Apartments, Flats , Penthouses … great properties for sale. We can find the best for you. SpainForSale. Propiedades Puerto Banús (29660). Teléfono: (+ 34) 952929636 | | (+ 34) 619341469. Latest Featured Penthouses & Apartments For Sale in Alhambra Los Granados, Estepona | SpainForSale.Properties. You can also use SpainForSale.Properties comprehensive property search on the top of this webpage and extend your search to find the perfect Property For Sale in Alhambra Los Granados, Estepona. A selection of properties offered at very attractive prices, Bargain properties for sale distressed and reduced property for sale. What is the first step to buying an Apartment in Alhambra Los Granados, Estepona? If you are thinking about buying Apartments in Alhambra Los Granados, Estepona, finding a trusted Real Estate Agency is the first step. SpainForSale.Properties is considered one of the most trusted Exclusive Real Estate Agency in Marbella, Costa del Sol and other “Prime Locations” in Spain. Our properties For Sale and Rent portfolio features the most distinctive Real Estate For Sale in Alhambra Los Granados, Estepona. Apartments For Sale in Estepona. Inversiones en “Ubicaciones principales”. At SpainForSale.Properties we know how difficult it can be to start a search for Apartments For Sale in Marbella or elsewhere on the Costa del Sol. Estamos aquí para ayudarlo con todo, desde el principio hasta el final de su proceso de compra. Nuestra misión también es nuestra pasión, ayudar a nuestros clientes a vender y comprar: Corretaje de bienes raíces e inversiones. | SpainForSale.Properties.